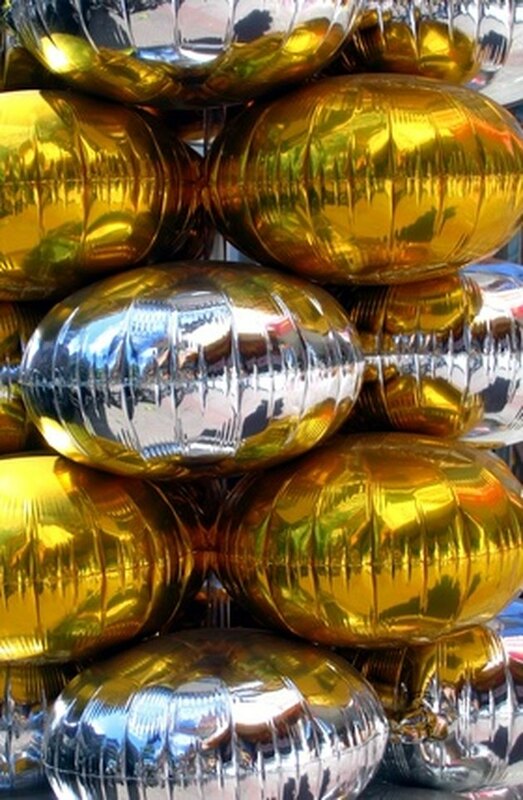 Mylar is the plastic used to make shiny balloons for parties. It consists of metalized plastic and nylon but cannot be thrown to the curb with other recyclables such as aluminum, plastic and paper. Unfortunately, there are only three recycling plants in the U.S. that will accept mylar. They are located in Oakland, San Fransisco and San Jose, Calif.
Mylar balloons can only be recycled at three locations in the U.S.
Cut the deflated mylar balloons into strips. Place them in a recycling bin. Call the Super Link Plastic recycling company in Oakland at (510) 568-1086 between 8 a.m. and 5 p.m. Monday through Friday to schedule a pickup. Call Scroungers' Center for Reusable Art Parts (SCRAP) in San Fransisco at (415) 647-1746 between 9 a.m. and 5 p.m. Tuesday through Saturday to arrange a pickup or dropoff. Make sure to verify that the materials you wish to recycle are acceptable. Cut your deflated mylar balloons into strips. Cut your deflated mylar balloons into strips. Call the Resource Area for Teachers in San Jose at (408) 451-1420 between 9:30 a.m. and 5 p.m. Monday through Thursday, or between 9:30 a.m. and 1 p.m. on Saturdays.